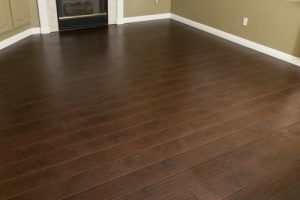 Laminate floors are a popular choice for homeowners in Clearfield UT 84015 that want to upgrade their space with beautiful, resilent flooring without the expense of higher-market hardwood. Laminate flooring is a composite floor material that is designed to look like real hardwood or stone, but is actually comprised of four layers of materials that provide additional rigidity, strength, and protection against damage. In addition to being quick and easy to install, laminate floors offer a wide range of colors, patterns, and thicknesses for a variety of situations. It is also very quick and easy to maintain – making it ideal for bedrooms, hallways, offices, bathrooms, kitchens and recreational areas. We are a full service flooring contractor in Clearfield UT serving residential and commercial customers throughout the area. We are locally owned and operated and fully insured. We provide the greatest quality laminate floor services. We make it a point to always listen thoroughly to your concerns and only offer truthful and reasonable answers. We focus on delivering premier workmanship utilizing only the best materials, to ensure our customers’ total satisfaction. Our laminate installation specialists care a lot about building and nurturing lasting relationships with our clients. SLC Flooring combines years of training with competence to guarantee that the product you desire is the one that you’ll receive. We encourage that you check out all the services we provide and find out why we are the first option for laminate flooring in Clearfield and nearby cities. Our primary goal is to make our clients are satisified with the outcome of their project. We believe in quality work and will not compromise on the end results to increase earnings. We have among the top reputations in the city so you can be sure your project will get done the first time properly. Call us now at 801-515-0047 for a free consultation, you’ll be thankful you did.